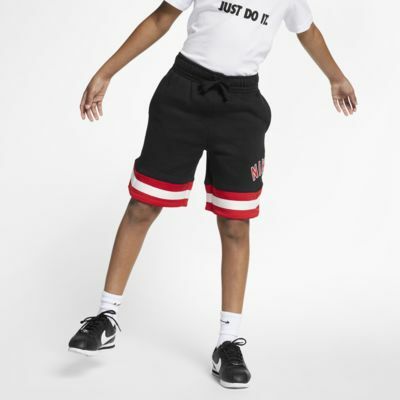 The Nike Air Shorts are made of soft fleece for a comfortable, relaxed feel. Fleece fabric feels extra soft on the inside. Mesh stripes at the bottom are breathable. Fabric: Body: 80% cotton/20% polyester. Mesh: 100% polyester. Pocket bag knuckle side: 100% cotton.